Now that you've learned the basic chords and structure of the song Frankie and Johnny, it's time to start adding some extra bits. In lesson 61 Eve will walk you through adding bass runs between chord changes. She also introduces a spot where you can use the E7 chord to change the feel of the song. Thanks Eve. I really love adding these base notes. They give a whole new depth and feel to the song. The acoustic guitar is one of the most beloved instruments in the world. Eve Goldberg will guide you on your guitar playing journey. In this lesson, Eve Goldberg introduces the acoustic guitar. She talks about the parts of the guitar, the string names, and tuning. In this lesson, Eve Goldberg introduces the first chord in this series, the A chord. She also shows how this chord can be used to play a simple song. Eve Goldberg introduces the E chord. She explains how it is played and provides some exercises designed to improve your chord changing abilities. Eve Goldberg returns to the song "Swing Low" and talks about playing it with two chords instead of one. Eve Goldberg teaches how the boom-chuck strum can be applied to the song "Swing Low". In this lesson, Eve introduces the D chord. You will also learn how to switch from the D chord to the A chord while applying the boom-chuck strum. Eve teaches the song "Little Birdy," which is a great tune to practice changing from the D chord to the A chord with your boom-chuck strum. You will learn the The Carter Family song "I'm Thinking Tonight of My Blue Eyes" in this lesson. Eve talks about 3 chord songs and demonstrates a few as an example. She also introduces the capo. Eve continues her discussion on capos. She explains how to find a key by using a piano keyboard drawing. 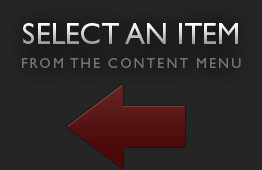 Eve introduces the flatpick. She explains the proper way to hold it and strum. Eve shows you how to to compliment your boom-chuck strum by adding an A to D bass run. In this lesson, Eve furthers your knowledge of bass runs by teaching the E to A bass run. Eve continues her discussion of bass runs and also covers some great practicing techniques. Eve introduces the G chord and practices changing to and from other chords you have learned. This is important for the next song you will learn. Eve teaches the song "Gold Watch and Chain" using the G chord you learned in the last lesson. Eve shows you how to add a little spice to your standard boom-chuck strum in this lesson. You've learned the Boom-Chuck strum. You've learned the Boom-Chucka strum. Now you will learn the Boom-a-Chucka strum. Have fun! Eve shows how to incorporate the A to D bass run into the song "Gold Watch and Chain." Get ready for a new run! Eve teaches the D to A bass run in this lesson. Learn how to add even more flavor to "Gold Watch and Chain" by including a bass run from D to G.
Learn the G to D bass run and incorporate it into the song "Gold Watch and Chain." Eve encourages you to take all of the tools you've learned thus far and apply them to the song "Gold Watch and Chain." Eve introduces a new song called "Hobo's Lullaby." Eve introduces fingerpicking in this lesson by using the song "Hobo's Lullaby" as an example. Eve adds a D to G bass run into the song "Hobo's Lullaby." Eve adds the bass run from A to D into the song "Hobo's Lullaby." Eve adds the bass run from G to A into the song "Hobo's Lullaby." Eve Goldberg finishes up her lessons on "Hobo's Lullaby" by adding one final technique: The D Doodad. Eve Goldberg continues her beginner series with another amazing song called "Careless Love." Eve Goldberg continues her discussion on "Careless Love" with a lesson about the pattern and chord changes of the song. Eve Goldberg takes a look at the G chord fingerpicking pattern for the song "Careless Love." Eve Goldberg continues "Careless Love" with a lesson about the fingerpicking pattern for the D chord. Eve teaches a Travis style picking pattern for the C chord. She also explains how to make the change from the C to the G pattern. Eve wraps up "Careless Love" with a lesson about putting the whole song together. Eve Goldberg introduces a new song called "Goin' Down The Road Feelin' Bad." Eve Goldberg reviews the chord structure for the song "Goin' Down The Road Feelin' Bad." Eve Goldberg returns to "Goin' Down the Road Feelin' Bad" with a lesson all about the hammer-on. Eve Goldberg continues her discussion of the hammer-on. She explains how a hammer-on can be used within a C major chord and the importance of timing. Eve adds the G chord hammer-on to the song "Goin' Down the Road Feelin' Bad." Eve gives a quick review of what you have learned so far in "Goin' Down the Road Feelin' Bad." Then, she dives into some bass runs that can be added to the chord progression. Eve plays the G to C run in the song "Goin' Down The Road Feelin' Bad." Then, she breaks it down for practice. Eve taught the G to C bass run in the last lesson. In this lesson, she teaches you how to go from C back to G.
Eve Goldberg covers a transitional chord between G and Em that functions like a bass run. Eve Goldberg wraps up "Goin' Down this Road Feelin' Bad" with a lesson that combines all the techniques you have learned in the song. 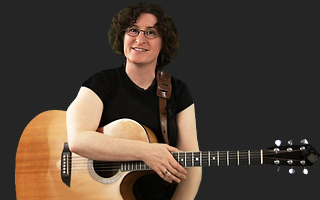 Eve Goldberg introduces a new song called "Stewball" in this lesson. Get started with a little history and some basic concepts. Eve Goldberg talks about the chord structure for the song "Stewball" in this lesson. Eve Goldberg wraps up the song "Stewball" with some strum pattern variations. Eve Goldberg returns to JamPlay with another exciting addition to her beginner series! Here you will take a look at "Drunken Sailor". Eve builds on this song in lessons to come. Eve Goldberg returns to the song "Drunken Sailor" with some great tips on strumming patterns and more. Eve Goldberg finishes up "Drunken Sailor" with some new strumming exercises. Eve Goldberg dives into "Haul Away Joe," another fun sea shanty. Eve Goldberg takes another look at "Haul Away Joe" with a brand new strumming pattern. Eve Goldberg starts on a new folk song called "The John B. Sails". This particular song was later made famous by The Beach Boys under the title of "Sloop John B". Eve Goldberg continues with "The John B. Sails". This time she introduces a brand new strumming pattern. Eve Goldberg finishes up "The John B. Sails" lessons with a couple of brand new chords and a new strum. Eve Goldberg dives into some basic, practical theory to expand your knowledge of the guitar. In this lesson, she talks about the I-IV-V progression and explains the circle of fifths. Eve Goldberg continues her practical theory discussion, this time with an emphasis on minor chords and how they fit in. You've learned all of "Frankie and Johnny" at this point. Now it's time to put all of the techniques together and create a varied and flowing arrangement. In lesson 64 of her basic guitar series, Eve provides a look at another traditional tune. You'll start off with the basic song, and then progress by adding additional skills and challenges. It's time to take a closer look at spicing up the song "Don't Let Your Deal Go Down." In this lesson, Eve introduces more strumming options, including several that haven't been discussed previously. In lesson 66 of her basic guitar series, Eve demonstrates the bass runs that will work over the song "Don't Let Your Deal Go Down". To finalize her beginner series, Eve offers up the song "The Water is Wide." This will be a good start on the song that you can use to transition to her fingerstyle series.